Before I opened my Etsy shop, December Caravan, in 2013 I read every single book and website article I could get my hands on to help make my store, an "Etsy success". The reading helped a ton, but I have also been learning a lot of things along the way! In this last year alone I have changed a lot of things with my shop and have continued to learn and grow as an Etsy shop owner. There are a lot of different theories about how to choose a shop name but at the end of the day this is your shop. It is going to be with you for a long time and you will want it to be something that you can "grow" with. 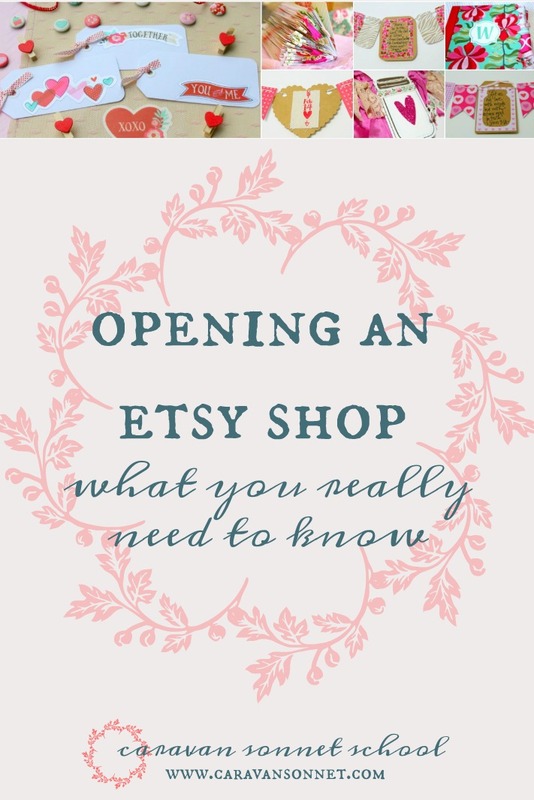 Whether you are interested in starting to create an item to sell or you have been selling to friends and family for a long time and now want to take the "plunge" into opening a shop, take time to do your research. 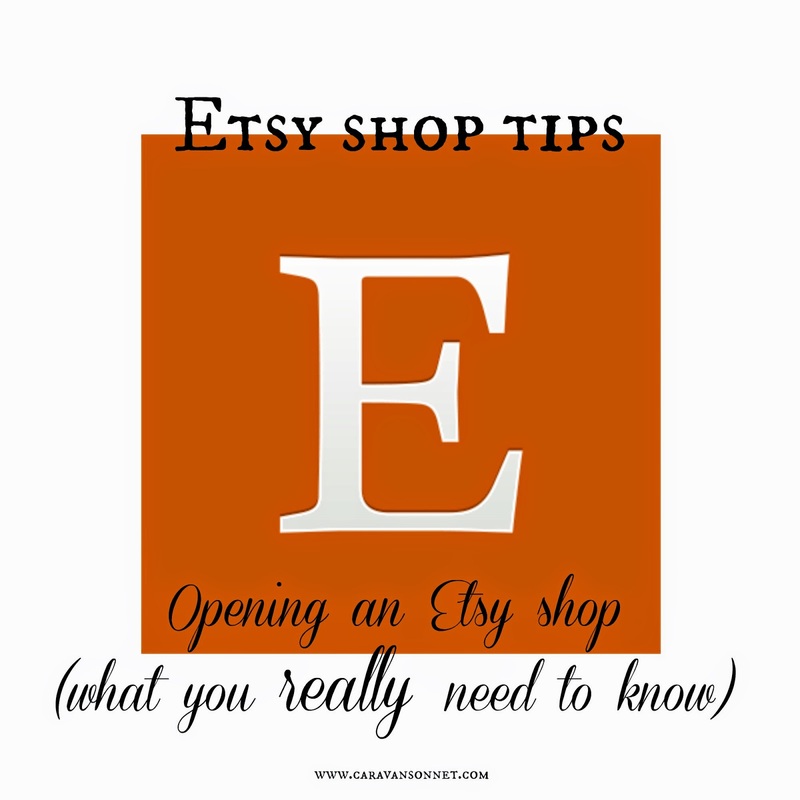 The fortunate thing is that it is very easy to open a shop on Etsy and list things. The unfortunate thing is that it doesn't mean it will sell. Take time to do research so that you will be successful. Think through whether or not there is a demand for your product, whether or not you will be introducing something "new" to the world, etc. If you aren't sure about some of these things, take time to develop your business strategy. (3) Study the "Quick Start Essential List"
Taking quality photos that represent your handmade products takes lots of time! As an amateur photographer, this is a fun and creative part of the handmade process for me, but for some creatives this can be frustrating and annoying. The hard part of selling on-line is that you must convey in your pictures how wonderful your handmade item is. Your goal in your photography is to be the thing that "draws" people in. You have to convey the "feel" of it, the details, the "tone", etc. Recognize that you are competing with brick and mortar stores where people can touch and look through the things they are interested in. You want your photography to represent your items well. Honestly, it is better to have 5 items for sale with excellent photography than 100 items with poor photography. Make sure that your pictures represent your products. When I first started on Etsy I thought that I should do all of my products with a "white light background". I did this at first and the realized that my shop is for those who love and live with their handmade items. I started taking pictures outside, in different areas, etc. This has worked extremely well for me, especially with wholesale orders. Find what works for you and own it! Take the time to figure out branding for your shop. Honestly I went through three different business cards before my current branding which I love. Take the time to really develop your look and style so that you have a cohesive brand. When I first opened my shop I thought that it would be easier than it is. Honestly, it has been one of the hardest business ventures that I have ever done. I love my job though and at this stage and season in my life, this allows me to work from home while I am fighting for my health. But that doesn't mean that it isn't an incredible amount of hard work! Every single day (even if it is just from my bed on rough treatment days) I work at least 6 hours on orders, on new products, on marketing, on instagram sales, etc. It takes a ton of work but I absolutely love it. Really consider this aspect as you plan for your shop if you want to be successful in this venue. When I first started my shop I didn't do this as well as I needed to. I was so excited to have opened my shop that I just spent time creating and posting and trying to market. I have now learned how important it is to set goals for your shop. Take the time to set yearly goals, quarterly goals, and monthly goals. BELIEVE me you will be so thankful that you did! It can be exciting to open a shop and just want to "dive" on in. Take the time (just like with the photography) to write out interesting, captivating, and detailed descriptions of your product! This will definitely help you as you continue! I hope these tips have been helpful! And guess what? Did you notice that in the picture above I have at the bottom something called "Caravan Sonnet School"? Well I am so excited to announce that in the next couple of months I will be offering courses through a school called "Caravan Sonnet School" on Teachable. The mission of the school is: "a place to nourish the soul, encourage the love of living a creative life, and to find resources to live your dreams". Stay tuned for more exciting announcements to come!! PS - I would have loved to email you back directly but unfortunately you are a "no reply blogger". I hope to connect with you more in the future! !